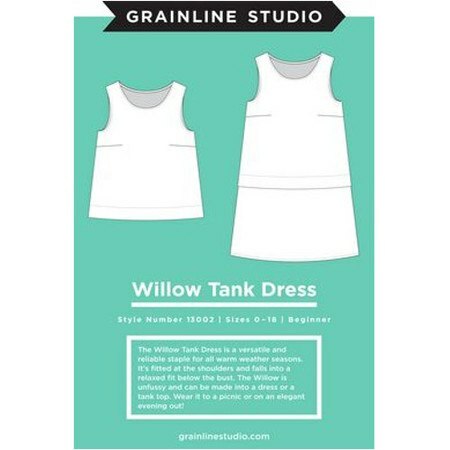 The Willow Tank Dress pattern by Grainline Studio is a reliable and go-to garment for all warm weather seasons. It is fitted at the shoulders but falls into a relaxed, breezy fit below the bust. This versatile pattern can be made into a dress or a tank top to cater to any occasion. Techniques used in this pattern include sewing a straight seam, darts, hemming, and applying bias facings. This pattern is nested for easy cutting between sizes if needed. The Willow Tank Dress pattern is simple and perfect for the beginner sewist!